Sports socks type "footer" good for both training and every day. Ankle cuff, front inscription PUMA. Thin and soft, perfectly adhere to the foot. 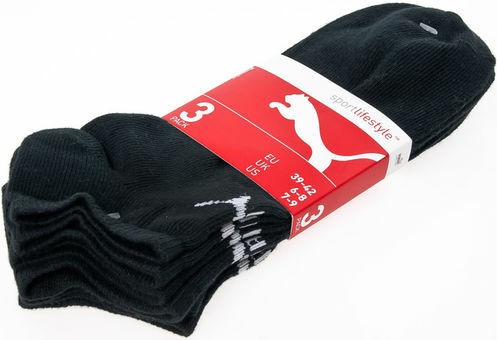 Package includes three pairs of socks.